Quack!!! These duck baby shower favors are so cute! 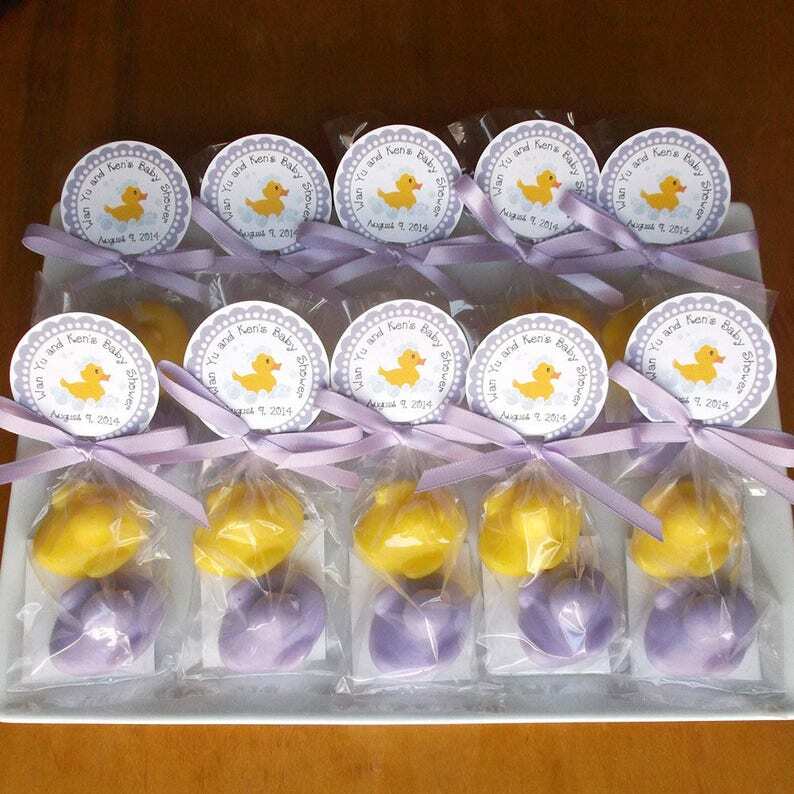 Duck favors are perfect for a duck baby shower. Duck favors will add to your ducky decor, are unique, and are sure to be a hit at your duck baby shower or duck party. Includes favor tags. Set of 15. Each order comes with 15 soap favors (30 soaps in total, 2 per bag). Monkey Farts - Banana, grapefruit, orange, kiwi, coconut, raspberry, strawberry, apple.